Gujarat Energy Research and Management Institute (GERMI) has published Advertisement for below mentioned Posts 2017. Other details like age limit, educational qualification, selection process, application fee and how to apply are given below. Educational Qualification: B.E./ B.Tech in Engineering with M.E./ M.Tech. in Electrical/ Electronics/ Energy/ Solar Engineering, with minimum 1 (one) year work experience in Energy/ Solar field in research/ academic/ industry. Certificate courses in related fields. How to Apply: Only eligible candidates should apply. Mention clearly in your application the position applied for. 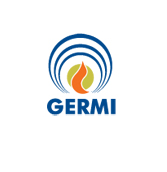 Duly filled application proforma with all documents should be sent to recruitment@germi.res.in on or before 6:00 pm (IST), 12th October, 2017 addressed to Director General, GERMI. No hard copy is to be submitted. All original documents should be carried by the shortlisted candidates at the time of interview.